Air ducts can be quite annoying to clean. While you can do it yourself, you can only cover around the opening. Our expert technicians in California, however, can clean the entire air duct system, making sure that its surface is free of dust and mold, and that clean air passes through and into your home. 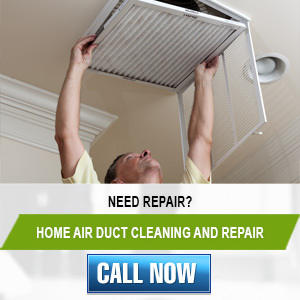 To have such a clean air duct system again, be sure to contact Air Duct Cleaning Milpitas. We are easily accessible through telephone and e-mail, and we are available 24 hours a day. Call us for your estimate and one of our technicians will be right with you. Make your home an even safer place with our professional air duct cleaning services. Let us remove dust, pollen, mold and all other types of contaminants from the ducts of the HVAC system. Our solution is all-encompassing and includes repair and air filter replacement. The cleaned ducts are sanitized for preserving the achieved result. You will enjoy better indoor air quality in the longer term. Count on us for HVAC unit cleaning to maximize the energy efficiency of the whole system. Let us keep exhaust systems in the house in good condition as well. We are experts in dryer vent cleaning. The duct will be completely free from lint in very little time. The appliance will use less energy to dry the clothes and operate safely.